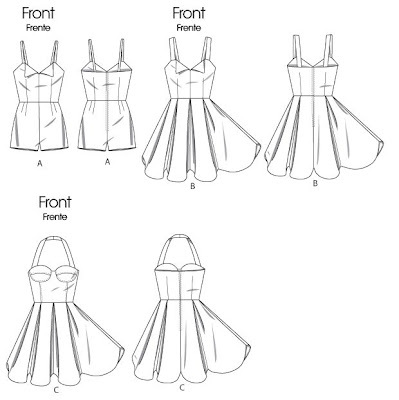 OK ladies, here it is in pattern form, and you can make it yourself too. What a cute romper (and dress)! And to top it off the patten is on sale! Only $4.49 by Designer Melissa Watson for McCalls. You can find the pattern here.